Clarita S. Raghunanan, 64, passed away peacefully at 6:15pm on Saturday, June 16th, 2018 in her Chicago home from liver cancer. She was born July 2, 1953 in Catanaun, Quezon Providence Philippines to Valeriano Sambajon and Feliza Fernandez. Clarita is survived by her loving spouse of 42 years, Seopaul. She is also survived by her three daughters and son; Theresa Hancock, Sheryl Raghunanan, Gail Ash and Roberto Salimeda, of Chicago, IL; four granddaughters Tatiana Salimeda, Audrey Hancock, Madelyn Shira and Isabella Salimeda. Also surviving are her three grandsons; Nathan Salimeda, Owen & Caleb Hancock. 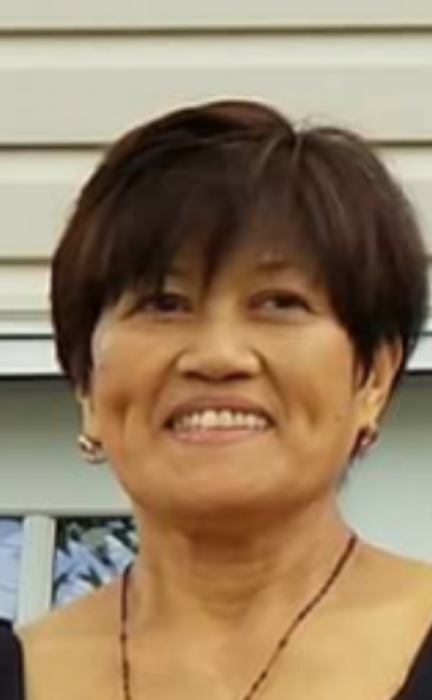 Clarita retired at the age of 55, she shared her time between Chicago, IL and the Philippines. Her grandchildren were her biggest joy, they called her the “fun grandma”. She was a very dedicated wife, mother and grandma, she loved to spend time with her family watching movies, listening to music, tending to her garden, refurbishing old furniture and arts & crafts for her home. In the Philippines, she volunteered her time and shared her home with priests who recently graduated school to assist in mission of sharing the word of the Lord. She donated food and gifts to homeless children in her village while also attending many church functions that helped feed the nearby communities. The visitation is from 4PM – 9PM with celebration of life service promptly at 7pm on Wednesday, June 20th, 2018 at Christian Funeral Home. Donations will be sent to the Philippines to assist the seminarians in churches in Lucena.